Travel aficionado to travel aficionado? 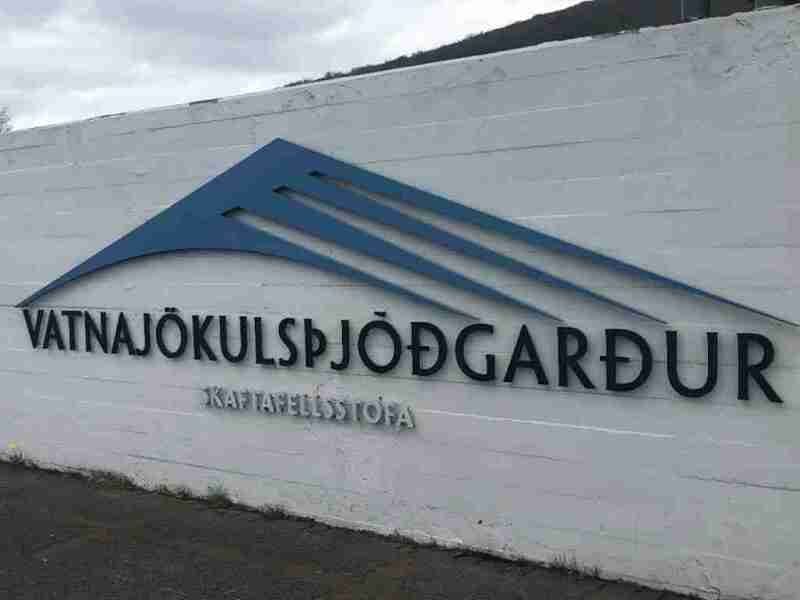 You see, I’ve got Iceland on my mind, and the truth is? The truth is, I worry. I’m concerned about the ever-growing abundance of tourists in Iceland and what it means for the country and its landscape long-term. I’m discouraged that some visitors come to Iceland and engage in disrespectful behavior towards the land, the people, the culture. And I want to be darn sure, with Iceland at the height of its popularity, to do all I can to protect and respect this country that I have come to cherish so dearly. When I visited Iceland in 2018, the locals were warm, friendly, and inviting. I felt welcomed and wanted. I felt my presence as a foreigner was not just merely tolerated, but happily embraced. Stories of tourists tearing up the fragile vegetation on foot or behind the wheel. Stories of tourists jumping safety barricades or otherwise trespassing. Stories of tourists littering or relieving themselves in nature. I don’t want to be that guy! And I know you don’t want to be that guy either. The truth is that we all make honest mistakes when we travel. We are all guilty of unintended faux pas. But respectful behavior is simply essential and should be a non-negotiable when you are a guest in someone else’s home, state, or country. In fact, the Golden Rule should just always apply, whether traveling or just merely, you know, existing. My sincere hope for the future is that tourists will continue to be warmly welcomed by Icelanders and that everyone can enjoy Iceland’s beauty for generations upon generations to come. But we must all do our part to make it so. There is a sterling steward in each of us! Here’s how we become one. Signs like this aren’t there for their health! But it’s probable they exist for yours! Chances are excellent that if you end up doing any kind of exploring in Iceland, you will come across a bevy of signage. In fact, signs in Icelandic were one of my favorite things to take pictures of! But aside from making whimsical photo ops, signs provide invaluable information and critical warnings that are essential to your safety. At one point in our travels, we came across a sign blocking a road. We weren’t sure if we should interpret the sign to mean there was absolutely no traversing the road, or if it was merely a recommendation to stay off of it. We called our Nordic Green Travel agent to get the definitive answer. But there’s a lot of people who, when faced with uncertainty, forge ahead. This is a foolproof way to get your car stuck in mud, taken for a ride down a flooded stream, or worse. Play it safe and play it smart. If you insist on taking calculated risks, save them for your home turf. This boiling cauldron of death (too dramatic?!) 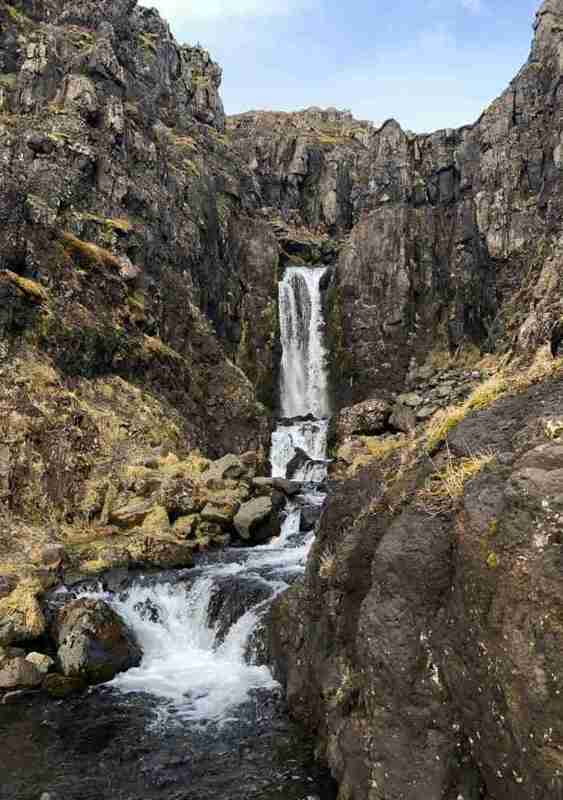 in Reykjadalur valley is mere steps from the footpath. Observe from a distance. Please, tempting as it may be, do not go off marked paths and trails when you are exploring in Iceland. I understand how easily it happens. I’m just gonna stray from the path for a second to take a closer look. Yes, it seems benign and harmless enough, but when continuous traffic comes through in this manner the path and vegetation begin to erode all together. Before you know it, a once-intact trail has become impassable and must be closed to visitors in order to heal. And healing can take weeks. When we were in Iceland, the Reykjadalur valley had been closed for upwards of ten weeks. There had been a lot of rain prior to our visit and humans had made a muddy mess attempting to traverse its trails. Gratefully, the hiking paths were reopened while we were there and we got to enjoy one of our favorite experiences in Iceland as a result. But not everyone gets so lucky. 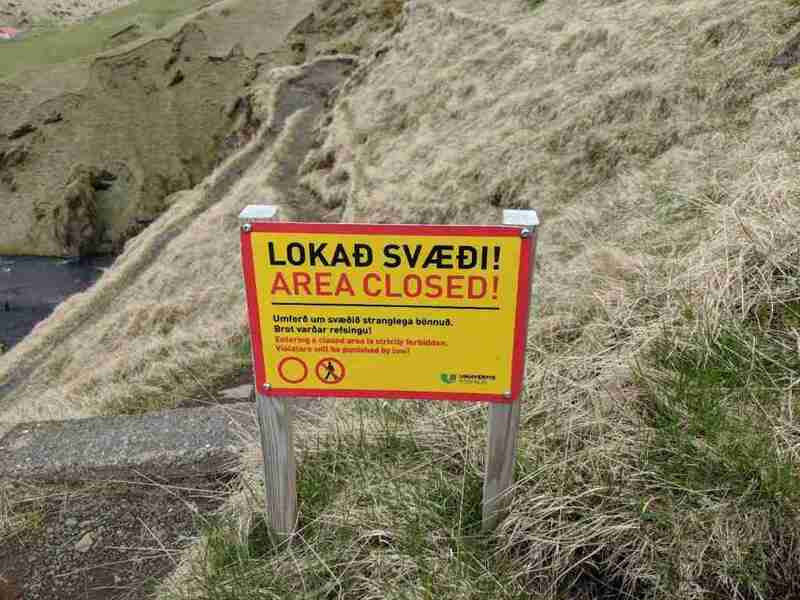 Fjaðrárgljúfur Canyon is currently closed until June because of the same kind of behavior. And there are a lot of disappointed people as a result. People for whom their upcoming trip to Iceland will be a literal once-in-a-lifetime experience. There will be no do-overs for them. And that’s a huge bummer. Kudos to Iceland for making the protection of their lands the number one priority, even when it means disappointing people. But let’s not make it necessary for closures to happen in the first place. Everyone wins and everyone is safe. Despite signs all over like this, people still think they can beat Mother Nature at her game. But it is also wild, untamed, and unpredictable. There are sheer cliffs and boiling mud pots and glacial crevasses and a host of other potentially dangerous aspects to its landscape. One could easily meet their demise in Iceland, and sadly, some travelers have. One has to exercise extreme caution and not engage in risky behavior. And yet, people still do. Is this just the human condition? “Survival of the fittest” Darwinian theory at play? 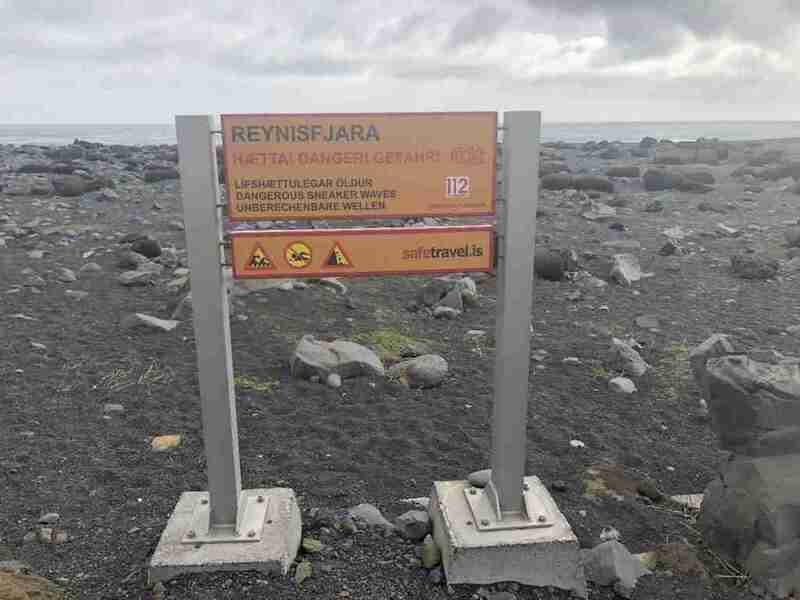 For example, there are people who don’t heed the signs warning them of powerful sneaker waves at Reynisfjara beach. When I was there, I saw visitors precariously close to the waves with their backs to the ocean. Paying no mind and showing not a care in the world. Just asking for it, really. Or tourists climb atop icebergs for the ideal photo op at Jökulsárlón lagoon or Diamond Beach and accidentally find themselves tipping over into frigid water or worse, floating out to sea. Travelers hop fences and safety barriers to get a “better” view, putting themselves in great peril of falling. And some have done just that. When tourists make dangerous choices, others have to rescue them. Not only does this require an abundance of local resources andmanpower which can be costly, but it’s potentially lethal for those risking their own personal safety to be of assistance. I want you to survive your trip to Iceland and return home in one solid piece. It is the preferred outcome. 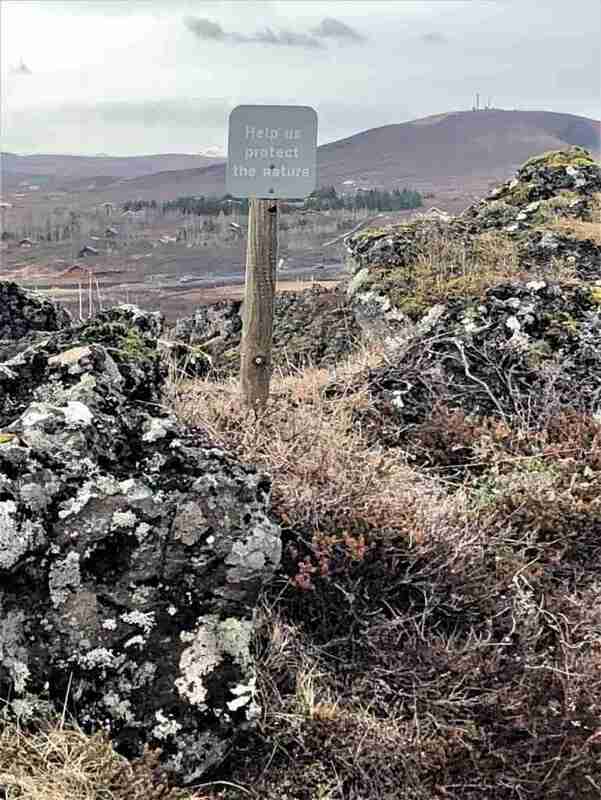 A sign at Kerið crater. Be a helper! There is no shortage of breathtaking places to visit in Iceland. The landscapes are simply spectacular. And when traversing its natural wonders, it may be tempting to take that gorgeous red rock from Kerið crater or shell from Reynisfjara beach. A beautiful (and free!) souvenir. I know it can be easy to convince yourself that one little rock or shell couldn’t hurt. I mean, what’s one little rock in the grand scheme of things?! But if we all engage in a mentality of feeling entitled to just one little rock or shell, we’ve collectively altered the landscape and changed it forever. Enjoy the beauty of Iceland to your heart’s content, but let her keep what is rightly hers. And in leaving a place better than you found it, it should also go without saying that all garbage belongs in the trash, not on the ground. Should you happen to come across any kind of waste or debris, be it intentionally or accidentally left, take an extra moment to pick it up. 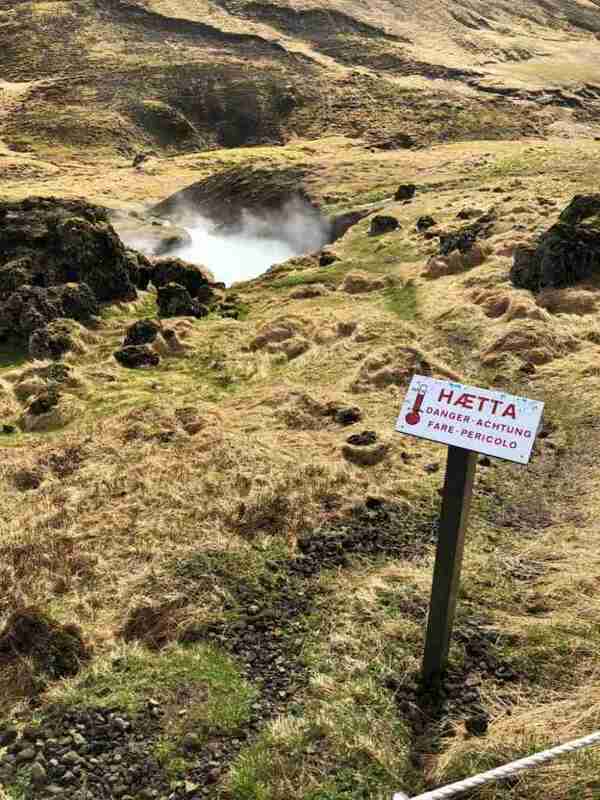 That lava field will be so perfectly spotless after you’ve visited, you’ll be tempted to eat off it! And while we are talking about garbage, let’s talk about waste of another kind. Iceland’s landscape is not one mammoth communal public toilet! This should be obvious, but some believe that “going” in nature is just…well… natural. It’s disrespectful to the land, of course, but also to the people who may cross your path and make the rather unsavory discovery of what you’ve, err, left behind. That said, it’s pertinent to mention that once you get outside Reykjavík and start exploring the countryside, legitimate bathrooms can be scarce. This is not the United States with a Super America or Kwik Trip on every corner. As such, you mightactually have to think twice before downing that 20-ounce drink you brought along to enjoy in the car. I learned this the hard way and spent a very uncomfortable 15 minutes driving along the Ring Road and wishing I had made, shall we say, better choices. Plan to use actual bathrooms. And adjust your intake schedule to account for the fairly surprising lack of them. You are welcome for the Public Service Announcement! Rauðamelsölkelda mineral spring made the perfect pit stop for filling up our water bottles. When visiting Iceland, just being more intentionally aware of the cause-effect relationship and subsequent consequences of your own behavior(s) and consumption can go a long way. We can each do our part to avoid adding to the problem of pollution, for example. One easy adjustment is making the conscious choice not to purchase bottled water. Instead, pack a reusable water bottle and fill it up on the fly with delicious, clean, and free Icelandic water. You won’t be sorry, you’ll save a bundle in the process, and best of all? You’ll be helping to protect Iceland’s unique and unspoiledlandscape. In the lobby of Hótel Fljótshlíð; these are practices we can get behind! With the boom of tourism in Iceland, there are more options than ever for tours and travel services. But it’s important to recognize that not all travel agencies, tours, restaurants and hotels are created equal. As such, have a discerning eye. Iceland is not immune to the effects of tourism on its landscape. Choose companies and businesses that are working in harmony with and in support of the environment, not against it. 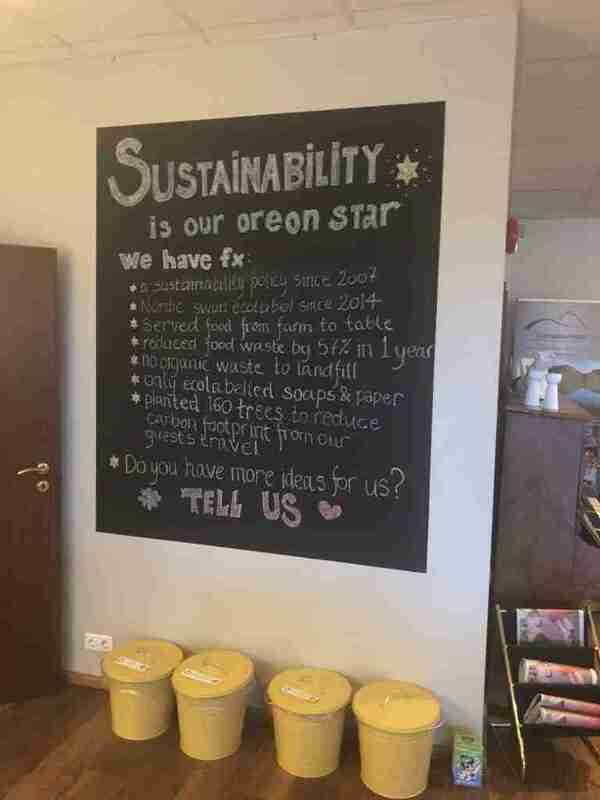 Thankfully, it’s easier than ever to visit Iceland and be socially responsible. For example, Nordic Green Travel puts a portion of the money you spend on their services and uses it to purchase and plant trees that will carbon offset your tour. Doing your research will help you make sound consumer choices that reflect your values and beliefs. After all, protecting Iceland starts with putting our money where our mouth is! 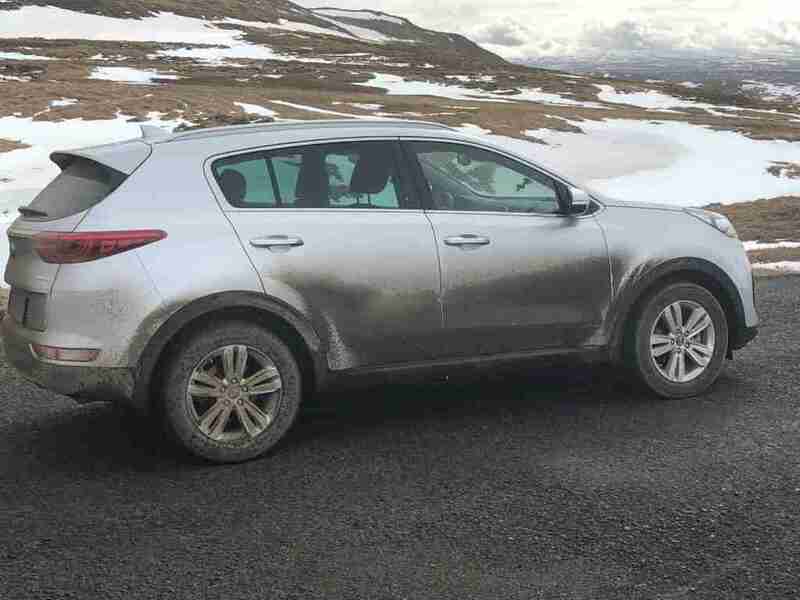 Our trusty (and downright filthy) rental that allowed us to explore high and low in Iceland! When we first arrived in Iceland, we noticed we were being passed by other cars with rather embarrassing regularity. I confess: the temptation was to keep up! I mean, we didn’t want to stick out like a sore thumb. We imagined all the other cars pointing and laughing at our poor little Kia-Sportage-That-Could. Alas, we smartly stuck to the rules of the road, and so should you. Aside from the fact that speeding can be dangerous, you’re setting yourself up for a hefty fine. So regardless of what other drivers (be it locals or tourists) are doing, just toe the line. Just like in the tale of The Tortoise and the Hare, slow and steady wins the race! Wear that turtle tourist badge with pride! Driving is a fantastic way to see Iceland, and its true that around every bend is another magnificent sight and picture-worthy frame. It will be tempting to stop off to the side of the road just super quick to take a picture. Not only is this a bit rude, but this is unsafe. Most roads in Iceland are quite narrow and people have gotten into terrible car accidents and have even died as a result of such behavior. Wait until you can safely stop in a designated area in order to take your pictures or admire the view. And should no such stop exist, simply take in the beauty of the moment and move on. Not everything has to be Snapchatted or highlighted on an Instagram story. Just as hikers should stay on designated trails, so too should vehicles stay on roads. Yet instances continue to happen in which tourists go off-roading. Looking to have a good time? Channel their inner Jason Statham, perhaps? But tearing up extremely fragile Icelandic vegetation in the process. Not only does this make a terrible mess, but it causes damage to the ecosystem that might take months or even years to self-repair. And the real kicker beyond that? Off-roading will cost the culprit handsomely in fines. Keep the things with wheels on the things called roads and you’ll be fine. Go on, give these words a go! Then try them five times fast! It’s true that in Iceland you won’t have trouble communicating if you speak English, as almost every Icelander speaks English incredibly well. But I wholeheartedly believe that it’s a show not only of respect but of reciprocity to arrive as a visitor in a foreign country with at least a bit of the native language under your belt. Maybe a few greetings at the very least? Make a concerted effort. After all, no visitor to Iceland is entitled to clear communication in English when the native language is Icelandic. And while chances are extremely high that clear communication in English is exactly what you’ll get, extend yourself. Get yourself good and clean in ALL of the places. Leave no body part unturned! This might seem a frivolous category to include amongst such weighty topics as environmental conscientiousness, but it deserves its own reminder. With all the geothermal energy in Iceland, the country is teeming with incredible swimming pools and baths like the famous Blue Lagoon to be enjoyed. But first, one must employ a vigorous cleaning beforehand, as highlighted on the signs prominent in such places. 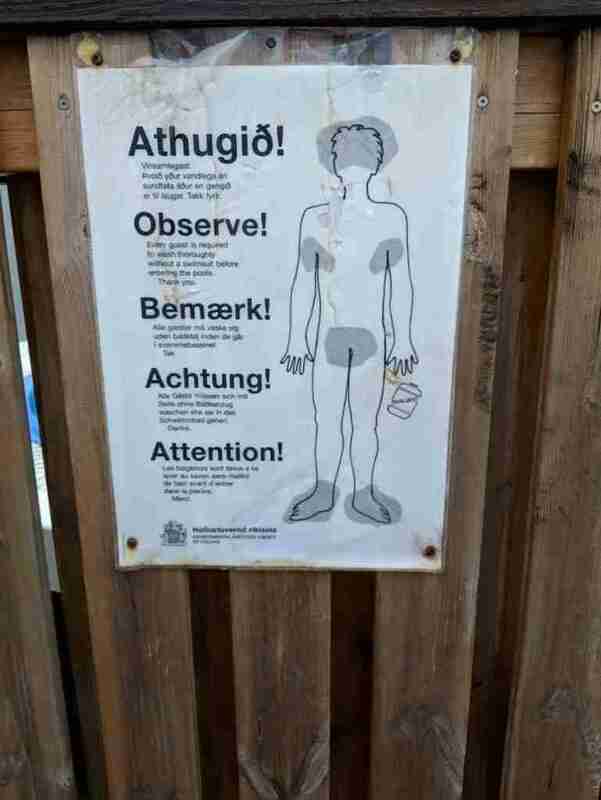 Yes, bathing etiquette in Iceland is extremely important and should be astutely observed. As a visitor it can be easy to take these signs as merely suggestive. After all, we don’t take the whole “shower before entering the pool” mantra all that seriously in the United States. Nobody enforces it nor really cares, because truth be told, at the end of the day, we’re all entering a highly chlorinated dunk tank where germs go to die a painful death. We’re talking chemicals so strong we are stripped of our DNA as well as a portion of our dignity. But you aren’t in Kansas anymore, my friend! And those signs are the gospel! So, throw your old (gross-ish) habits out the window and embrace being clean. There’s an actual pledge one can take if you will be visiting Iceland. It covers much of what we have talked about here, and it’s a promise to do your part while in Iceland. It’s a great initiative and has really opened up the conversation about what it means to travel responsibly and respectfully. And what gets more people talking, gets more people doing. Which is the whole darn idea, am I right?! I took the pledge, and if you are going to Iceland, I urge you to take the Icelandic pledge as well. Go enjoy beautiful, gorgeous, spectacular Iceland. Take gentle care of her while you’re there. And be the kind of tourist that will have Icelanders welcoming all of us fellow Icelandophiles back. Time (and time) again.